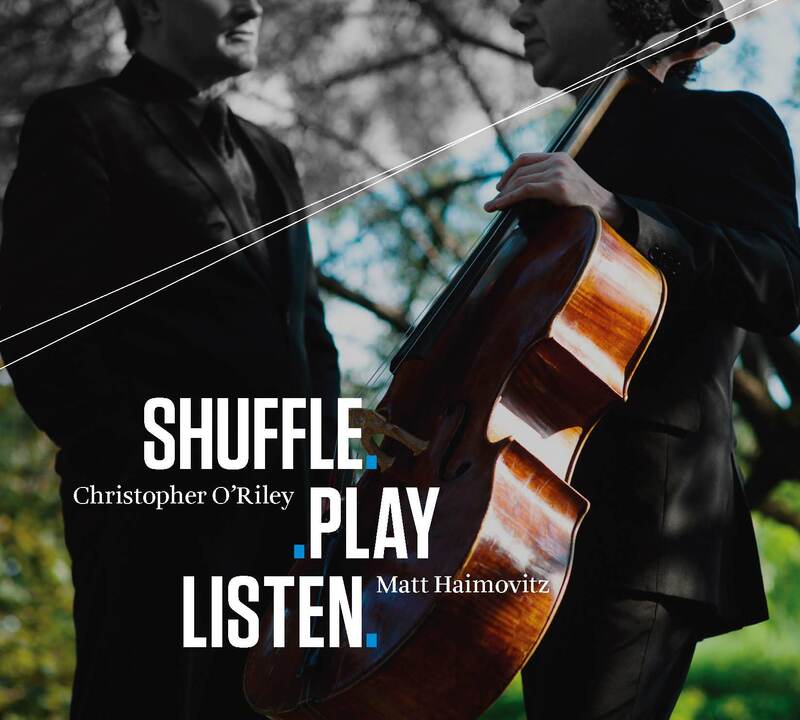 Christopher O’Riley & Matt Haimovitz/Shuffle, Play, Listen (Oxingale Records) – At this point, there’s no denying that pianist/arranger Christopher O’Riley is the preeminent interpreter of contemporary rock music, and not simply because of his predilection for viewing said music in a modern classical vein. Nearly a decade since O’Riley shocked and awed listeners with True Love Waits (his album featuring the catalogue of band fave Radiohead), one might wonder if the whole concept has morphed into some kind of artistic conceit, or worse – a gimmick. Since that disc, he’s embraced the songs of Elliot Smith, Nick Drake, The Cure, Pink Floyd, Nirvana, and countless others. Which begs the question: has O’Riley’s rock odyssey finally run its course? Shuffle, Play, Listen answers that question with a resounding “no”, and firmly puts to rest any doubts that O’Riley is merely exploiting the genre to proffer his musical brand. Disc One proves that theory wrong not only because he approaches classical composers like Stravinsky (whose “Firebird Suite” was covered in the 70’s by prog-rock giants Yes) and Bohuslav Martinu, but takes film composer Bernhard Herrmann‘s dramatic score for Alfred Hitchcock’s Vertigo and manages to reveal sonic nuances within the composition heretofore unheard. In terms of modern classical music however, its Disc Two where O’Riley admittedly shines. He begins with Arcade Fire‘s “Empty Room.” Not being completely familiar with the group’s songs put me at an unexpected advantage – I could preview the track without making the distinction I was hearing a rock song being reinterpreted. As such, “Empty Room” opens the disc like a revelation: O’Riley’s arrangement places cellist Matt Haimovitz‘s melodic filigrees in a minimalist context, respectfully exalting modern classicist Philip Glass. On the Cocteau Twins‘ “Fotzepolitic”, O’Riley’s piano gently caresses the swirling string crescendos of Haimovitz, evoking the best Windham Hill artists. This is followed by the Blonde Redhead compositon “Melody”: Haimovitz plays sad, wistful lines on his cello, while O’Riley’s piano imbues the track with a sonata-like feel. 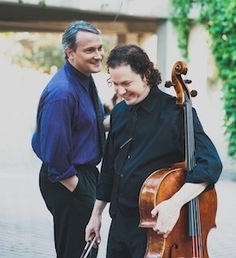 Having Haimovitz‘s cello provide the main melody line for “Pyramid Song” was a shrewd choice: his low-tones and harmonic overdubs play nicely against O’Riley, whose piano begins in similar fashion to the original, but gradually dances between jazz-minimalism and post-modern classicism. Similarly, the hushed tones of Riley’s piano arpeggios on “Weird Fishes” seamlessly weave between the spaces left open by Haimovitz’s measured cello parts. The pair’s covers of John McLaughlin‘s “Dance of Maya” and “Lotus on Irish Streams” are also impressive for their sparse-yet-emotive approach – “Lotus”, in particular, achieves a majestic quality reminiscent of Edward Grieg’s Peer Gynt Suite No.1. True aficionados will find a lot to appreciate here, and thus, O’Riley and Haimovitz have delivered a cogent statement about the power of a great composition to transcend any genre, and with panache.